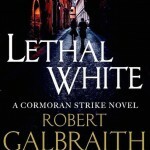 We’ve long awaited the release date of the fourth book in the Cormoran Strike series, and when (just following the hype surrounding the release of the Fantastic Beasts trailer) J.K. Rowling announced she’d finished Lethal White, we knew it’d only be a matter of time until we received another update! 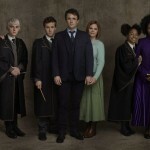 Rowling posted to Twitter yesterday, announcing that the fourth instalment will hit shelves this year! 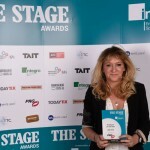 As for the U.K. series on BBC One, the DVD boxset of the series so far released this month, which includes exclusive featurettes and interviews with the cast and crew, and J.K. Rowling herself. Find more information here. Interesting – Hogwarts appears to have an exchange student program now (and portals between schools?) – that sure would’ve been interesting to see in Harry Potter series! We realise this is all probably in jest, but Chicago’s version of Platform Nine and Three Quarters is bound to see a lot more attention from muggles now that Rowling’s acknowledged it! Jessica Williams was recently announced as featuring briefly in Fantastic Beasts: The Crimes of Grindelwald as Ilvermorny’s Professor Eulalie (Lally) Hicks, who we won’t see in full glory until the third film. Perhaps we’ll be seeing the American wizarding school, and Dumbledore might even choose to use this secret portal between Chicago and Hogwarts – who knows! Please note: Featured image of ‘Lethal White’ cover is unofficial, see here for more info. We’ll update you when the official cover is revealed!